Huawei consumer cloud representatives Su Jie and Mosa Hlobelo. Chinese hardware manufacturer Huawei will introduce six new apps for its smartphone users in SA during the course of this year. These include its own app store (for apps created specifically for Huawei phones), its own subscription-based music streaming service, a cloud storage facility (like iCloud and also subscription-based), a theme store, a mobile payment portal, and a way for local advertisers to place adverts directly onto users' home screens. Many of these apps and platforms are already available on Android phones, and in some cases, such as music-streaming services, the market is already quite crowded. "I see Huawei looking to be the Apple of the Far East ? and quite a lot of the West," says Adrian Schofield, ICT veteran and IITPSA programme consultant. "Apple has proved you can generate strong brand loyalty through the one-stop shop approach. They also embrace some of their competitors by hosting them on their platform, which helps to tie consumers to their core brand. "Huawei is expecting its brand success in hardware will translate into these additional market segments." Arthur Goldstuck, MD of World Wide Worx, says: "Huawei appears to be responding directly to the ecosystems being built around the Samsung and Apple mobile devices. With the launch of the S9 and S9+, Samsung made it clear the phones formed part of an emerging ecosystem of devices and content. "Firstly, this starts gearing the company to a future where the hardware itself becomes less important than the ecosystem. Huawei has realised it needs to start building a similar presence. It will be too late to respond if they wait for the shift to happen. "Secondly, users of the devices begin to commit themselves to the entire ecosystem, and not only the phone, as often happens with Apple users who have fallen for the hype that they need to keep all their devices in the 'family'." Goldstuck points out that even though many of these Huawei apps or services are available to Android users through Google, manufacturers do not want to be beholden to the search engine giant. "The Samsung cloud, app store and dedicated apps all have equivalents in one form or another in the Android store, but that doesn't mean Google is entitled to be the exclusive purveyor of such apps and platforms. In the long term, it also means the device-makers can reduce their dependence on Google over time." Huawei will introduce an AppGallery, theme store, music service, HiCloud, Screen Magazine and mobile payment in SA. Last week, Spotify, the world's most popular music streaming service, launched in SA, joining Apple Music, Deezer, Google Play Music and JOOX. Huawei says it will offer its own service locally from July. Huawei Music is already available in China and has 32 million daily active users, with 3.6 billion songs played per month. The company plans to have more than 80% of local music on the service at launch. Su Jie, VP of consumer cloud service for Huawei consumer business group, says the firm is in talks with Sony and Content Connect. He says the service will be subscription-based, but could not disclose how much it would cost users per month. Schofield says Huawei Music "makes sense" as it keeps the user focused on the Huawei device. "I am a little past the age of needing streamed music, so may not be the best commentator but the market for music has not shown any signs of diminishing since Mozart wrote his first concerto." Goldstuck says: "We are seeing the beginning of a massive explosion in paid streaming. This means there will be great opportunity, even if they are able to become 'only' the number two, three or four player in that market." Huawei's own app store, the AppGallery, is already in use in China with 160 million monthly users and over 200 billion downloads. It will be available on South African Huawei devices in June. The company says the Huawei mobile service platform will not replace the Google Play Store, but rather focus on localised apps. It is not aiming to compete with the likes of Google Play, but wants to supplement existing Android apps. 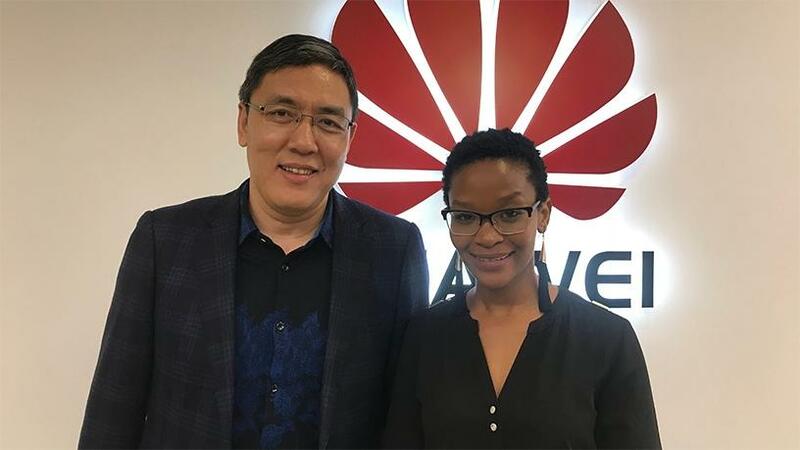 Mosa Hlobelo, Huawei senior manager of business development in consumer cloud service, says: "We wanted to assist local developers by offering a simple and secure environment to upload content. One of our key objectives is to create an open ecosystem especially for local developers." All apps will be curated before being uploaded to the app store, including being security-checked for malware and privacy leaks. Goldstuck says this "allows them [Huawei and developers] to create apps that take advantage of specific aspects of the design and engineering on the devices". The Huawei Theme store, which already has 160 million users worldwide, will also be launched in June. Huawei says it will launch a mobile payments solution that will be rolled out on its new flagships to be launched next week. However, it will not be the contactless payment method already integrated into Apple and Samsung phones but not yet available in SA. Huawei Mobile Payment will be for online and in-app payments only. Users will be able to load their credit card information into a secure portal and tap on the Huawei Mobile Payment option when checking out online. SA will be one of 60 countries outside China to get the solution next month; this number will increase to 100 by the end of the year. Hlobelo says the company is in talks with local banks. 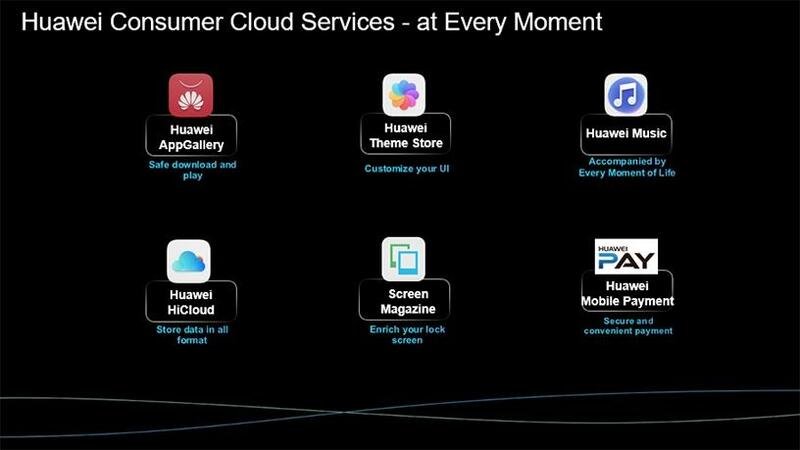 In the second half of the year, Huawei users will have access to HiCloud, a cloud storage platform, which lets users simply and securely backup data and synchronise across devices, similar to how Apple's iCloud works. It also has "find my phone" functionality. HiCloud is available in China and most of Europe, with 260 million users. When it launches locally, the first 5GB of information stored will be free. Users will have to pay a subscription after that, depending on how much space they need. Screen Magazine, an advertising platform that offers local brands a way to reach Huawei users' lock screens, will launch in SA in the middle of this year. This is an opt-in for users, but Huawei says it won't "compromise the smartphone experience or aesthetic". Users will pick a range of topics they would like to hear about, such as fashion and tech, as well as their own photos. When they wake-up their smartphone, the lock screen will display news bites, their own photo, or an advert. New content specific to the country will be rolled out every week. Zhao Likun, Huawei's SA consumer business group GM, said during a business update to journalists, that last year Huawei held 16.3% of total market share in the South African smartphone business. He noted that in the premium device segment in this country, it now holds 13.8% of the market, up from 7% in 2016. Huawei will invest heavily in SA over the next year, he added. The company will construct its own warehouse in the country, the first one outside of China, which will shorten delivery time from three weeks to three days, and the company will also invest in local content creation. He said that last year, the total revenue for the global consumer business group was $36 million, up from $25.9 million in 2016. Last year, 153 million Huawei smartphones were shipped worldwide.